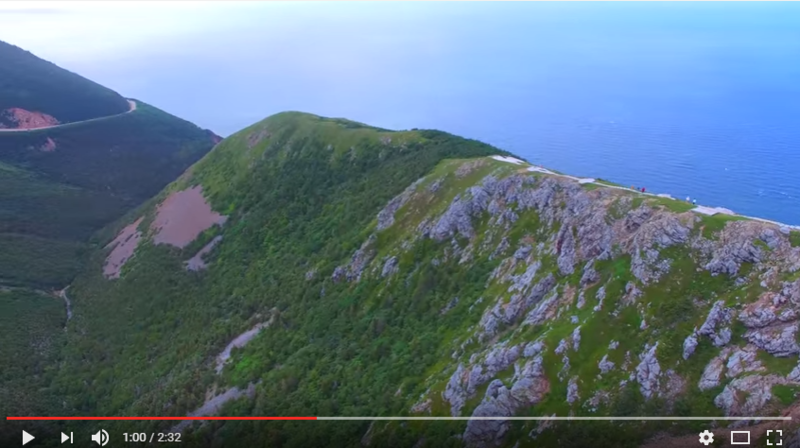 It should also be noted that it is very illegal to fly a drone in anywhere in the Cape Breton Highlands National Park (or any other national park) and may result in fines, penalties and even revocation of access to the parks. Matthew, is that something new or has airspace over a park always been restricted in some way, including low flying craft? No this is always. (Or reasonably long period of time). It is always against the law to take off/land in national park. And nor may you fly (manned or unmanned) less than 2000 feet above the park. It's not bad but misses a lot of the nice spots along the Trail that people might like to see on an aerial video format . Baddeck Harbour; Lake O'law Margaree River to the ocean , Meat Cove , Dingwall , etc . Fantastic view! Thanks for sharing. There are bears in the park, but in general people don't even see them let alone come in contact with them . There are often moose on the Skyline Trail but again they keep their distance , never a problem . Thanks . Here it is February, Doing a survey in Florida and talking to at least 50 people so far, residents and snowbirds .Not one person has seen one ad for any Canadian destinations but all kinds of US states are advertizing. Have been in 3 different visitor centres in 3 cities and none knew where Nova Scotia is . All knew things about Ireland and their tourism though !!! Michael: You will never see government show you or anyone any correlation that shows what they spend on advertizing and what they get in return . Tourism is an "export" really , but more and more NS is relying on "visits" of people from within Atlantic Canada than on "visits" from the USA for example . You will also never see any one municipality publish their statistics on tourism either , yet they are the ones who collect the increases in property tax and who collect the room tax/marketing levy that they then basically give away to their spenders .